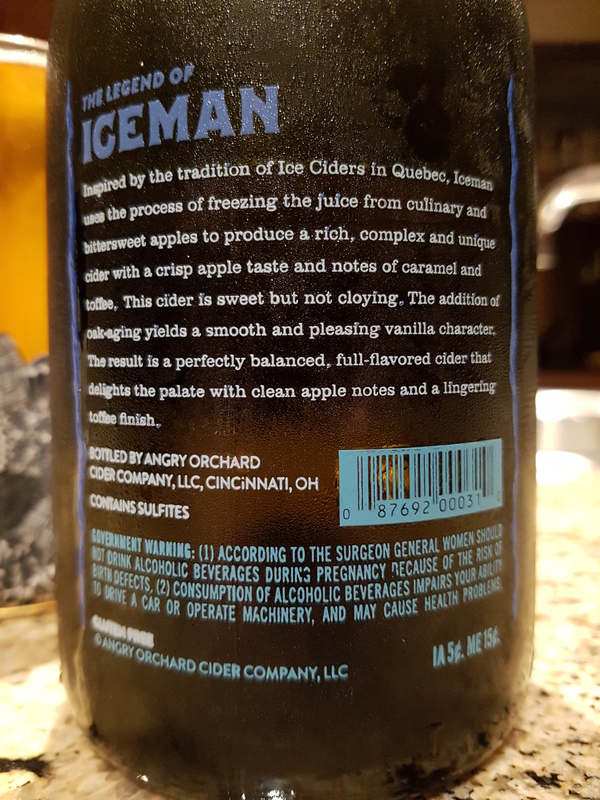 Iceman Hard Cider – Angry Orchard (Cincinnati, OH, USA) | Justintoxicated. Visual: Composite cork with a twisty steel cap, hefty bottle. Pours deep dark golden orange with no head, a small island off to the side, just a few bubbles surfacing. Finish: red apple juice exhale, sticky tart cloying sugars, mild woodiness. Summary: Very sugary forward with a rich red apple body and tangy acidity to hold it together. The alcohol is quite noticeable and adds to the heaviness factor. 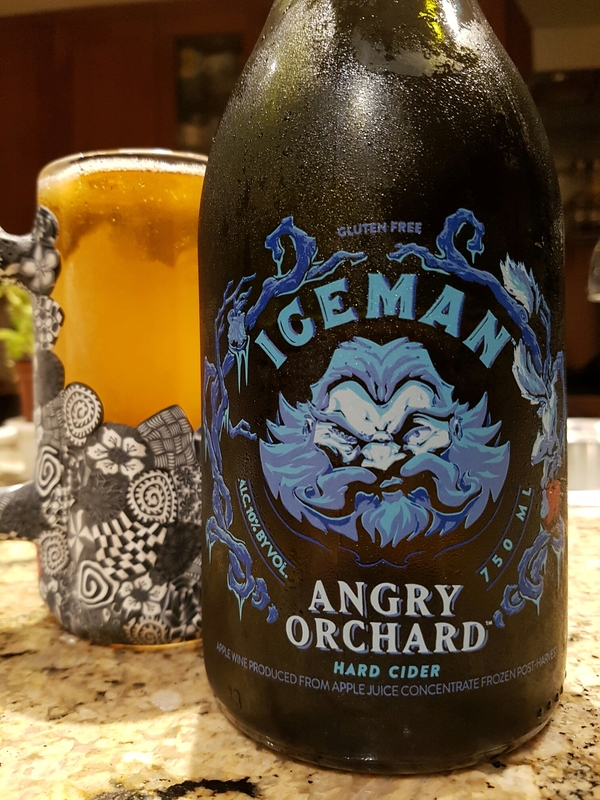 I find this to be too cloying and palate-heavy for my tastes – not quite as refreshing or bright as I’d hoped.